Can't decide which package suits you best? If these packages don't fit your requirements, click below to get a free custom quotation from our sales team for your project. or you can always talk to one of our live chat help operators for any enquiries. In the early days of the Internet, marketing used to be easy - a listing on Yahoo! very often being sufficient to guarantee a steady stream of targeted visitors to your site. These days though, the market has matured and promoting your site where it counts is now the domain of experts. Internet marketing is very often the forgotten element in a web project with budget set aside for the development of a site and little left over to promote it. EgyGo Dot Net believes that marketing is just as important as the development of the site. After all, if starting a “bricks and mortar” business, it would still be necessary to advertise to become established –the same is true of an Internet business. In lights of that we will join you in hand in hand to build traffic for your website and as pointed out earlier this is a long term partnership. EgyGo Dot Net will submit your site content to the major search engines available and over 100 web directories. We will also work out with you to optimize your site to gain the best results in your field (in Google AdWords, Yahoo, AltaVista, MSN.. etc) and as pointed out earlier, this is a long term partnership between your company & EgyGo Dot Net. 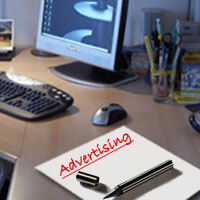 EgyGo Dot Net can also manage your company marketing strategy according to your budget & needs. Copyright © 2004 - 2009 EgyGo.net. All rights reserved.